Welcome to the Co-Lab Research website! 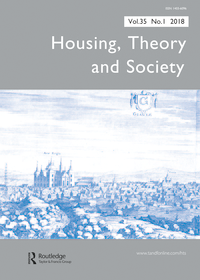 We are a research group working on the development, discussion and valorisation of knowledge on Collaborative Housing. We understand Collaborative Housing as an umbrella term that encompasses the large (international) variation of collectively self-organised and self-managed housing forms. These include co-housing, residents’ housing co-operatives and community land trusts (CLTs), amongst others. Co-Lab Research is located in the Department of Management in the Built Environment, Faculty of Architecture and the Built Environment, at the Delft University of Technology. The Co-Lab Research website aims to serve as a platform that brings together the rapidly developing knowledge base on collaborative housing worldwide. – provide an evidence-based and theoretically-informed contribution to the debates about the role that collaborative housing approaches can play in solving crucial societal challenges, stretching across affordability, the environment and social sustainability in our cities and living environments. – contribute to the education of the next generation of housing and urban professionals who may be working in collaborative housing projects, through university education and other learning activities. In line with the nature of Collaborative Housing, we work in partnership with people and organisations from a wide range of sectors (public, private, academic, grassroots, etc.) to achieve our aims. See our current partners. We believe that our research, while grounded in scientific rigour, needs to have a societal purpose. To this end, our valorisation agenda includes regular participation in a variety of public and grassroots discussion and exchange events. We are always happy to hear from people and organisations interested to work with us. Do get in touch if you have an idea or proposal you would like to discuss!